The seventh day is a Sabbath to the LORD, assembly and rest. “Count off seven sabbaths of years-seven times seven years-so that the seven sabbaths of years amount to a period of forty-nine years. Then have the trumpet sounded everywhere on the tenth day of the seventh month; on the Day of Atonement sound the trumpet throughout your land. Moses was commanded by the LORD to consecrate Aaron and his sons. The consecration of the priests and the mishkan (tabernacle) lasted seven days (Lev 8:33-35). Other important seven day life cycle events were: Yaacov’s (Jacob’s ) marriage (Gen 29:27), Yoseph’s (Joseph’s) mourning over the death of his father Yaacov (Gen 50:10), a seven day period after birth before the circumcision of a newborn on the 8th day (Gen 17:12, Lev 12:2-3), and the seven day period before taking the young animal from its mother to be slaughtered as a sacrificial offering (Ex 22:29). 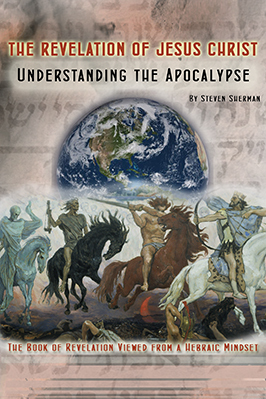 The number seven also has significance in relation to the fall cycle of biblical festivals. After the first three spring months on the Hebrew calendar, there are no commanded festivals during the summer months. But during the seventh month, all three fall festivals – The Feast of Trumpets, The Day of Atonement and The Feast of Tabernacles – are celebrated. The LORD said to Moses, “Speak to the Israelites and say to them: ‘When you enter the land I am going to give you and you reap its harvest, bring to the priest a sheaf of the first grain you harvest. He is to wave the sheaf before the LORD so it will be accepted on your behalf; the priest is to wave it on the day after the Sabbath. Christ the Firstfruits of the resurrection, resurrected on the Feast of Firstfruits. The day of the Messiah’s resurrection also coincided with the start of the count of seven weeks and one day (49 days + 1 day = 50 days), to the celebration of the Feast of Weeks which is also known as Pentecost (Greek for the 50th day). Luke, who wrote the Gospel according to Luke, also was the author of the Book of Acts. He wrote to Theophilus (lover of God) that Jesus walked in resurrection power for forty days until He was taken up into heaven. Jesus ascended into heaven ten days before Pentecost (50th day – 40 days = 10 days). The Messiah being taken up into heaven as the Firstfruits of the resurrection is a foreshadowing of the rapture of the church. The Holy Spirit coming down from heaven to eternally indwell the church, is a foreshadowing of Emmanuel’s (God with us), return to earth to eternally dwell with His people. 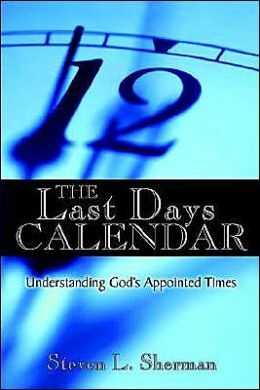 THE LAST DAYS CALENDAR: Understanding God’s Appointed Times.